Hey guys and girls! I hope y’all are having tons of success with your goals this year! As we continue towards New Year goals with making wise food choices, meal prepping is something that is very popular to help us stay on track. I love these salmon burgers because they are a great way to use leftover salmon. They are very filling but also feel light when eating. There are many meals you can use these for which makes them perfect for attacking meal prep monotony (say that 3 times fast!). Serve these over your favorite bed of salad greens, with rice and veggies or on a toasty bun with your favorite toppings. The good in this? 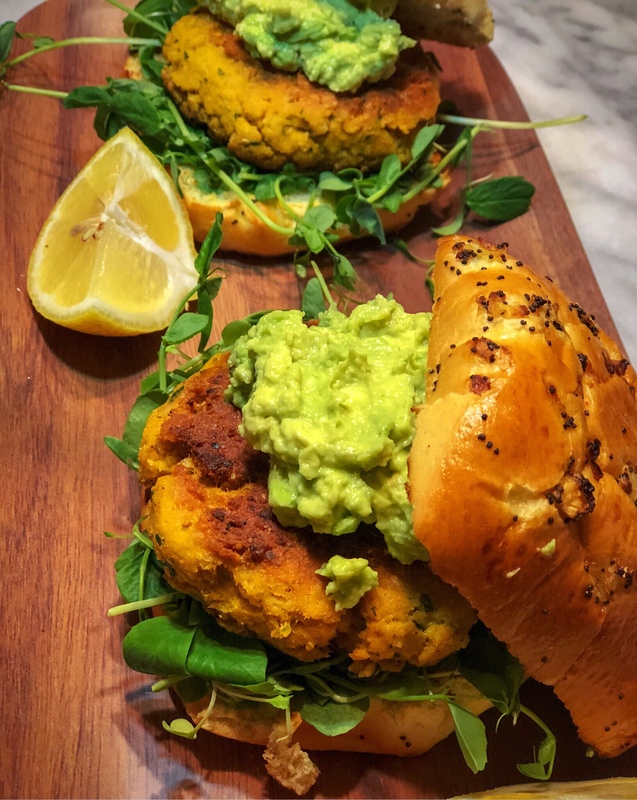 Of course salmon is high in heart healthy fats (Omega 3s) but these burgers also use no salt added lemon pepper seasoning which allows more flexibility in added salt. You can be as liberal or as generous as your palate prefers with the salt, but remember, standard recommendations are 2300 mg or less per day. Heat olive oil in large non-stick skillet over medium heat. In a blender or food processor, combine all ingredients. Mix until all ingredients are thoroughly combined. Divide mixture evenly into 3 burgers. Cook over medium heat, about 3 minutes per side. Serve with a fresh squeeze of lemon juice and topped with fresh avocado if desired on bun or over salad greens.